Growing up in the 70’s and 80’s I feel that this group were the best female band of all times .. Heart is an American rock band who first found success in Canada before later becoming a supergroup in the United States and worldwide. 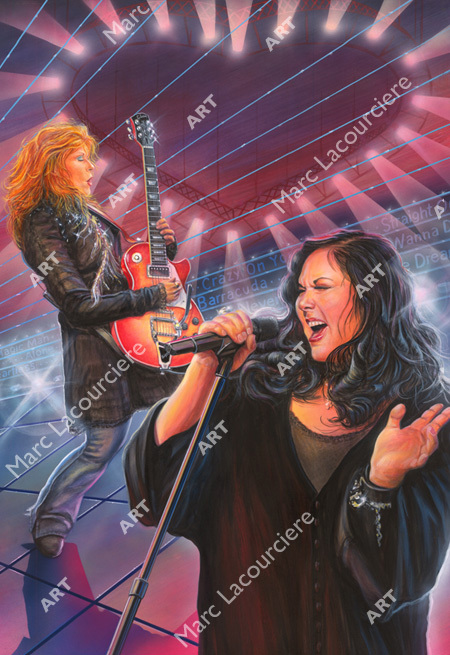 The band lead singer Ann Wilson and guitarist Nancy Wilson rose to fame in the mid 1970s with music influenced by hard rock and heavy metal as well as folk music. Their popularity grew greater success with hard rock ballads into the 1990s. Heart has achieved Top 10 albums on the Billboard charts in the 1970s, 1980s, 1990s, and 2010s with chart singles in each decade. This span of over four decades and 31830 million in sales places them among the most commercially enduring Hard Rock bands in history. The bond and chemistry between these sisters is truly magical.